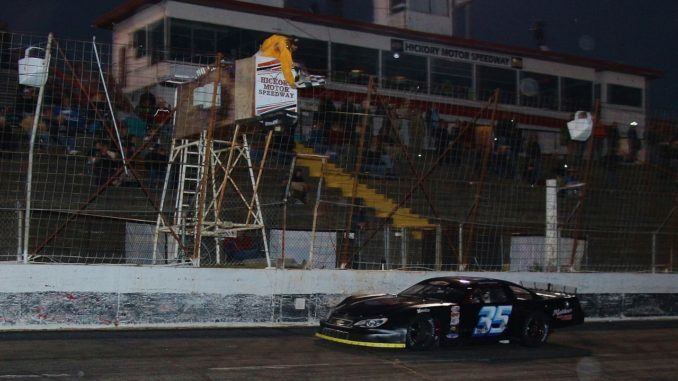 HICKORY, NC (November 10) –Derek Ramstrom took the lead for the final time with just over 30 laps to go and led the rest of the way to claim his first career Pro All Stars Series (PASS) South Super Late Model win Saturday afternoon at Hickory Motor Speedway in the Mason-Dixon MegaMeltdown 200. While Ramstrom took the win, Derek Griffith finished second to capture the PASS National Championship Super Late Model title and third place finisher Matt Craig took his third straight PASS South championship. In qualifying, Kodie Conner claimedhis secondstraightMegaMeltdown pole by edging out Craig. After the top 10 qualifiers redraw,Jody Measamer drew the pole, while Conner pulled pill two to start alongside.